First, what exactly is hemp? Many people have the false idea that hemp is synonymous with THC cannabis and is, therefore, a drug. Hemp is a variety of the Cannabis sativa plant, typically grown in the northern hemisphere. Hemp grows extremely quickly and can be spun into durable, versatile fibers for a variety of products. Is hemp a new discovery? Hardly. Hemp is one of the oldest industrialized materials known to human-kind. Hemp dates back to the Stone Age, as hemp fiber imprints as old as 10,000 years old were discovered. Before the 20th century, hemp was used as rope, paper and even as sails. Into the 1900’s, hemp uses changed as did it’s favor in the eyes of the government. World War II saw a surge in hemp uses for uniforms, tents and other industrial materials. Following the war however, the government quietly shut down the industry as it was seen as a product of the drug marijuana and not as the industrial, multi-purpose material we know it to be today. The Farm Bill, adjusted each year to reflect the needs and interests of the country, is a comprehensive allocation of money and resources to help the agriculture industry. What does that mean for hemp and The Farm Bill? Conservation: Ensuring agricultural land is managed appropriately and sustainably. In the past, overharvesting was a problem, depleting the land and making droughts more severe. Today, The Farm Bill helps to ensure that doesn’t become reality again. Nutrition and feeding the hungry: Food stamps which help families under a certain income bracket get access to food and the Supplemental Nutrition Assistance Program (SNAP) are both programs that fall within the bill. Trade: The Farm Bill helps strengthen trade programs between the U.S. and other countries. Crop Insurance: Crop insurance is provided by The Farm Bill and gives farmers a piece of mind during uncertain harvest seasons. Without this safety net, it would be difficult for farmers to consistently make a reliable living. Subsidies: The bill provides subsidies and incentives for growers to produce staple crops that are essential that year. Subsidies are another piece of The Farm Bill that allows farmers to make a consistent and ample living without stressing about falling short during more difficult-to-grow years. This year’s version of the bill was slightly different than previous years’. For one, subsidies expanded and SNAP was revised without shrinking its actual benefits. But the bigger and more influential difference to this year’s bill is that, for the first time since it was passed in 1970, the bill amended the Controlled Substances Act. Now, under both the Controlled Substances Act and The Farm Bill, industrial hemp is legal to produce. So with industrialized hemp now legal across the country, is cannabis legal now? Sorry smokers, recreational and medicinal cannabis is not legal. What IS legal is hemp itself, cannabis minus the high. But fear not, there are tons of amazing uses for hemp that even transcend your typical marijuana product. Now, back to that CBD we mentioned..
Legal hemp means great things for the CBD industry. CBD is a part of the cannabis plant that does not produce a ‘high’ because it does not produce the same psychoactive effects on the brain that THC does. Cannabidiol is, as its name suggests, is oil from the cannabis plant that is extremely versatile. While we think of traditional marijuana as something that you smoke or maybe eat in a brownie, CBD is much more diverse than that. CBD oil, in its purest form as a tincture, can be eaten as is or combined in any number of foods and beverages. Simply place a few drops of the oil on your tongue, in your drink or add it into your food next time you cook. CBD can also be applied directly to the skin in the form of a salve, balm or lotion. Muscle rubs and salves that can be applied directly to the temples are commonly used for sore muscles or to relieve headache pain. This is because CBD has immense medical benefits when it comes to pain, inflammation and discomfort. By reducing inflammation and helping to manage pain, CBD eliminates or reduces the need for costlier or potentially addictive prescription drugs. 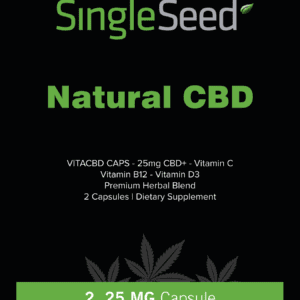 Other major medical realms that CBD has been useful at managing include as an effective treatment of seizures in epileptic patients, to reduce the impacts of MS, to help overcome Post-Traumatic Stress Disorder, to reduce tumor size and growth rate in cancer patients and more. While those with less-severe pain and difficult-to-manage or treat anxiety also note luck with CBD products. The benefits of legal hemp and therefore legal CBD will be something to keep an eye on in 2019. Now, there is more room for research and exploration into the positive impacts the cannabis product could provide. Now, more than ever, there is potential for a natural alternative to prescription drugs. Now, more than ever, we are moving forward for a more sustainable and healthier planet. Here’s to getting excited about the latest Farm Bill and what it means for hemp and CBD!